Wrinkle relaxing injections and dermal filler injections are increasingly popular in the UK today in the same way cosmetic dental procedures have been for sometime. Worryingly many poorly trained, inexperienced and uninsured providers advertise these treatments. As with dental treatments, wrinkle relaxing injections and dermal filler injections should be carried out in a safe clinical environment with highly trained staff following safe and effective procedures. As a dentist has trained for many years in the specifically in the anatomy, function and treatment of the face and already regularly provides patients with as painless as possible injections daily. So what are wrinkle relaxing injections and dermal filler injections? Wrinkle relaxing injections work to reduce motion lines and wrinkles that occur when the muscles of the face move. The protein botulinum toxin prevents contraction of the muscle by stopping the nerve sending a signal to the muscle to contract. Patients will fall into one of four groups. Group 1 – no lines at rest and no lines upon muscle contraction. This group are too early for wrinkle relaxing treatment as there is no muscle involvement. Group 2 – no lines at rest, but lines appear upon muscle contraction. These are the best group to treat because the lines are caused by the muscles only. Group 3 – some lines at rest and upon muscle contraction these lines worsen and/or new lines appear. We can still treat this group with wrinkle relaxing injections as there is some muscle involvement, but we would not be able to guarantee to eliminate those lines at rest. Group 4 – some lines at rest and upon muscle contraction nothing happens to these lines. These patients are best not treated with wrinkle relaxing injections as there is no muscle involvement. Dermal fillers work on stain lines or folds. These lines/folds are not caused by muscle contraction but due to loss of volume in the skin. 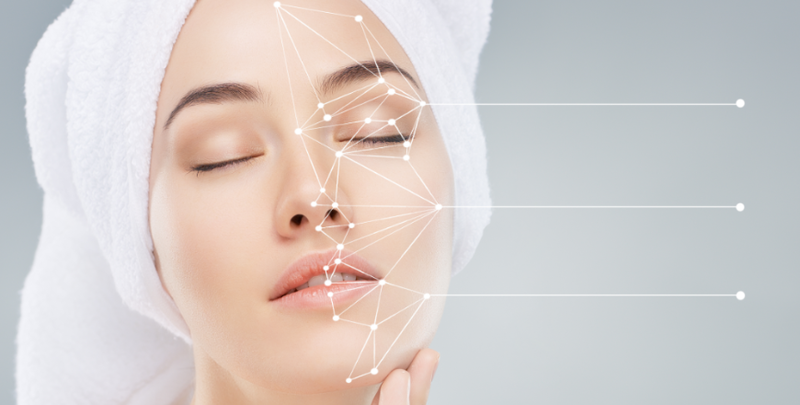 Dermal fillers, which contain hyaluronic acid- a natural component of our skin already, can plump up the skin or the skin and restore loss of volume. Wrinkle relaxing injections are commonly used to treat the upper face for example forehead lines, frown lines and crows feet around the eyes. The effects take 3-4 days to start to show with full results visible by 2 weeks and lasting up to 4 months. The effects can not be reversed so new patients are best treated in baby steps and topped up if necessary after 2 weeks. Dermal Fillers are mostly used in the middle and lower face for lip enhancement, lines around the lips and mouth. You can see the result immediately and you can reverse the effects. 80% of the effects of Dermal Fillers will be instant, in addition most Dermal Fillers attract water, so in the course of the next 10-14 days, the area will be re hydrated causing the skin to plump, hence the remaining 20% of the result is seen at this time. Dermal fillers will last Dermal fillers last between six months and a year depending on the product used. Khanna Training Institute. She now welcomes patients for facial aesthetic consultations- call reception for detail or fill in the form below.